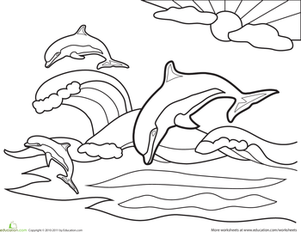 Give your animal-lover some coloring fun with this dolphin coloring page. It features a trio of playful dolphins jumping through the waves on a gorgeous sunny day. This ocean coloring page featuring a delightful dolphin will keep your first grader entertained and in tuned to fun sea animal facts! 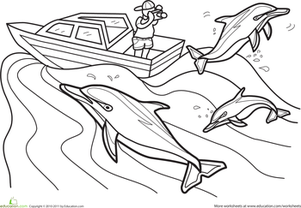 This coloring page features a photographer catching some playful dolphins in action. Get your child writing creatively with this fun coloring page, and let his imagination do the rest. This turkey coloring page is perfect for getting in the Thanksgiving mood. 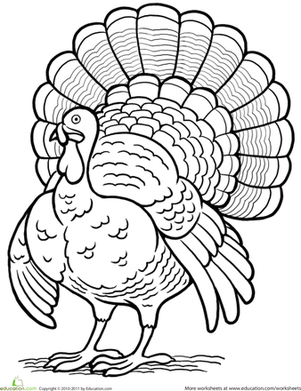 colour this turkey coloring page with the little bird enthusiast in your house. This vampire coloring page showcases Vinny the Vampire sneaking through a graveyard. 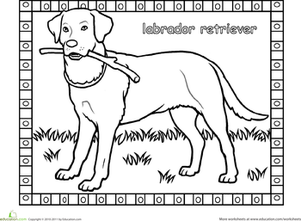 colour this vampire coloring page and help Vinny and his bat friends..
Colour the Labrador coloring page and learn about Labs! This skiing coloring page shows your child what a skier looks like up close. Use this skiing coloring page with your winter sports fan. Prepare for an elegant ball with this dress coloring page! Your child can add beautiful colors to this Victorian era dress in this dress coloring page. This diver coloring page is great for the little swimmer in your family. Use this diver coloring page to teach your child about a new sport.